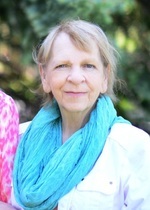 Hancox Lynne Christine – It is with heavy hearts that we announce the very peaceful passing of Lynne in her sleep on Sunday, April 7, 2019. Beloved wife of Denis Paulin. Loving sister of Jean Leblanc and Brenda Bloomer. Will be sadly missed by her many nieces, nephews, great nieces and great nephews. Lynne was a nurse for over 38 years, where she enjoyed travelling to where she was needed. A special thank you to all the staff with the N.H.S – Welland, St. Catharines and Port Colborne sites for all your care and support. Cremation has taken place, interment to take place on Saturday, April 13, 2019 at 10 a.m. at Woodlawn Cemetery. Funeral arrangements entrusted to H.L. Cudney Funeral Home. In lieu of flowers donations to the CNIB would be gratefully appreciated. Online condolences available at www.cudneyfuneralhome.com .